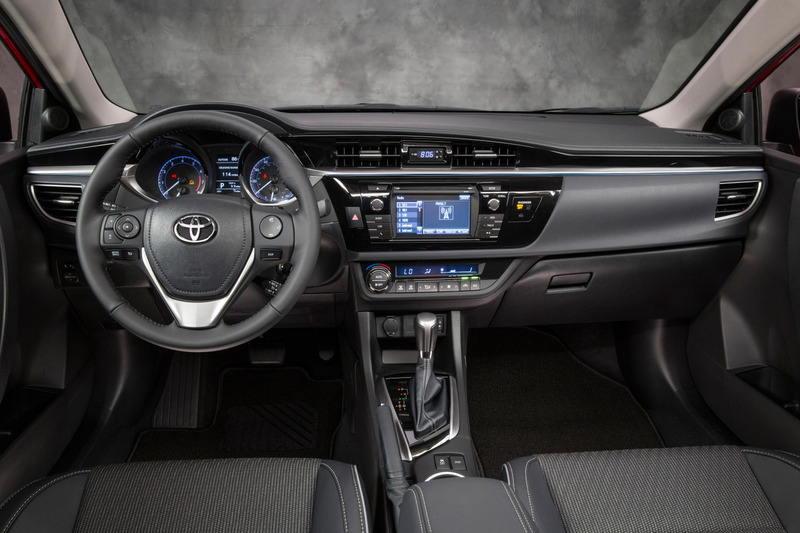 The dash and front seats in the Corolla S grade model. The S grade features a sport cluster with TFT meter. Photo courtesy Toyota.